It is time to cook that frozen pork loin, now you just need to decide how to prepare it. This is a guide about cooking a frozen boneless pork loin. How can I fix a 12lb. 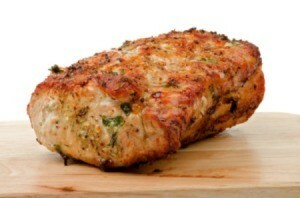 boneless pork loin. Its already been frozen. Cut it into chunks, put it in a crockpot with a bottle of barbeque sauce and let it cook all day. At dinnertime, take a fork and knife and shred the now tender cubes and serve on hard rolls to make pulled pork sandwiches. I don't know how many pounds my pork loin was, but it filled my 6 quart crockpot. It was partially thawed and I just sprinkled it all over with 2 envelopes of Italian salad dressing mix and 1 envelope of brown gravy mix and then turned it on low and let it roast for hours. When it looked and smelled good and done, I checked to make sure the internal temperature was over 165 degrees. It was delicious! It had a wonderful gravy, which I supplemented by adding a couple of cups of water with an Au Jus Gravy packet. I doubt I'll ever cook a pork loin differently again. My family loved it! We cook ours on our grill (after it has thawed) wrapped in aluminum foil Add some green peppers and onions and cook about 45 minutes to an hour (till it's done). You will know by cutting into it. There is a PERFECT and easy recipe at http://www.recipezaar.com that never fails. It's called "Perfect Pork Tenderloin and it's the only way we cook it now. No guessing or cutting into it to see if it's done.